24th of January is Day of the Endangered Lawyers. 2019 is dedicated to Turkish lawyers who have been subjected to a relentless crackdown. Our latest report has revealed that in the aftermath of the July 15, 2016 coup attempt, 1,546 lawyers have been prosecuted, 594 have been arrested, and in some cases subjected to torture and ill-treatment in Turkey, just because of practicing their duty as the defence in the legal mechanism. 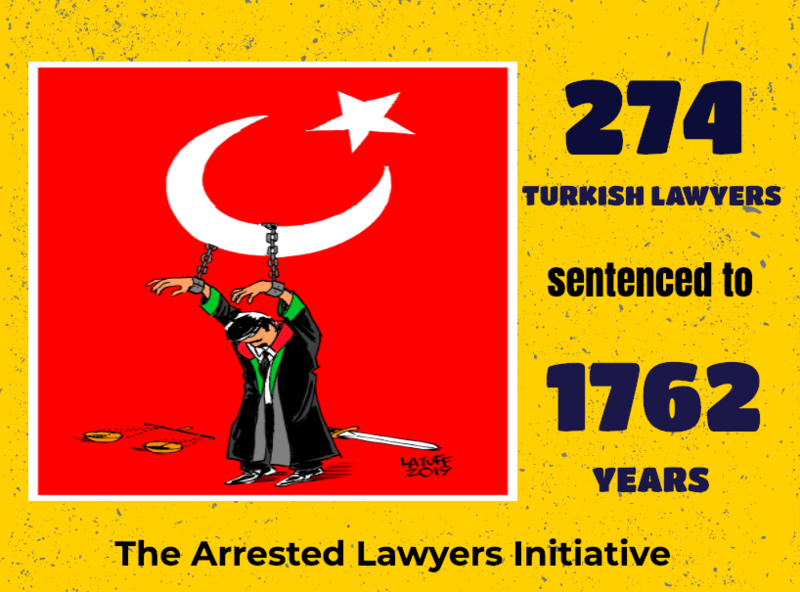 So far, 216 lawyers have been sentenced to 1361 years in prison. On the occasion of Day of Endangered Lawyers Day, we urge the Turkish Government to take steps to ensure that all jailed lawyers are immediately released and the charges against them dropped, to take all necessary measures to guarantee the physical and psychological integrity of lawyers in Turkey, as well as their ability to perform their professional duties without fear of reprisal, hindrance, intimidation, or harassment.